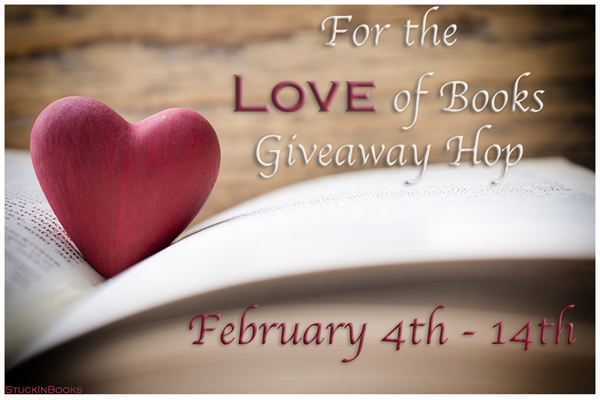 For the Love of Books Giveaway Hop – Escape Reality, Read Fiction! 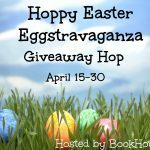 Welcome to the For the Love of Books Giveaway Hop, hosted by Stuck in Books. It will not be a surprise to anyone that I love books. I love to read and I always have. One of my favorite things about going to college was that I could finally read at the lunch or dinner table if I wanted to – and I always wanted to. Still do. Of course, in order to continue to do that I had to marry another reader. Reading together at dinner is very companionable – even in restaurants! But the question of what book I love the most is always a stumper for me. I love lots and lots (and LOTS) of books. Picking out one, or even just a few, is always difficult. My first love, still and probably forever, is The Lord of the Rings. From my first read in 4th grade through my 20s, I probably read it more than two dozen times. Now that I can listen in my car again, I’m probably due for a re-listen. There are plenty of other books that have claimed places in my heart, stories that have touched me and continue to do so. Like The Chronicles of Narnia. And Heinlein’s The Moon is a Harsh Mistress, although not for the same reasons, of course. If someone is looking for a thoughtful mystery, I always recommend Louise Penny’s Chief Inspector Gamache series. And there’s a huge soft spot in my heart for Sherlock Holmes. The list goes on. What about you, what book do you love the most? Or what book do you love to recommend the most? Just think how big a TBR pile we can create together, if we all recommend our favorites! 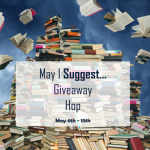 For more fantastic recommendations, and more fabulous bookish prizes, be sure to visit the other stops on the hop! My current favorite book to recommend is “Coinman” by Pawan Mishra. The use of language is perfect and exact, the wit very dry. Any book by J.R. Ward, Kresley Cole or Larissa Ione. One of my very favorite books to recommend is Clan of the Cave Bear by Jean Auel. I have read it at least 5 times! I would recommend the novels by Jacqueline Winspear. Wonderful. For Nick by Taylor Dean. I often recommend Deanna Raybourn’s two series. One for the Money by Janet Evanovich! Darynda Jones’ Charley Davidson series :). I would recommend Shatter Me by Tahereh Mafi and the whole series!! This year The Black Lily by Juliette Cross. It kind of depends on the reader. For adults I sometimes recommend The Things They Carried by Tim O’Brien. It’s a collection of Vietnam war stories, a bit brutal, but brilliantly written. My favorite book to recommend is T. S. Joyce’s “Lumberjack Werebear” which is the start of an amazing journey spanning two different mountain ranges, six crews, and 2 generations. I would recommend any book by Sarah J. Maas, Nora Roberts, Abbie Roads. The list of excellent books and authors is endless. Right now my favorite book is A Court of Mist and Fury. This is the second in the series. The first book is A Court of Thorns and Roses and I found it was not as good as the second but still worth reading. I recommend you to read Hurt by Tabitha Suzuma or Jennifer Niven’s books. 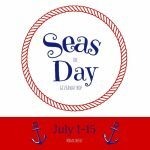 Pingback: The Sunday Post AKA What’s on my (Mostly Virtual) Nightstand 2-5-16 – Escape Reality, Read Fiction! Currently, the book I’m recommending is The Little Paris Bookshop by Nina George. Oh I have to say one for me is The Guest Cottage by Nancy Thayer! So romantic and funny! The Winner’s Curse trilogy by Marie Rutkoski and any book by Sarah J. Maas! Thank you for the giveaway! 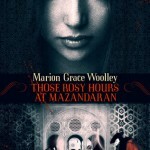 Alexandra P. recently posted..Feature & Follow #41: Book you want to live in! The Breathing Series by Rebecca Donovan. I loved the audio version of Walk on Earth a Stranger. The Lunar Chronicles by Marissa Meyer. Thanks for the giveaway! My favorite book to recommend is The Dragon Dreamer by J.S. Burke. It’s a fascinating book told from the perspective of a dragon. The Abyss Surrounds Us by Emily Skrutskie. There are so many books I love, Jane Austen’s would probably be at or near the top of that list, I’d recommend any of those, I love that each is a very different reading experience even though they all kind of fall into the comedy of manners category to some degree. I always recommend Genesis by Bernard Beckett. I always recommend Colleen Hoover’s and Mia Sheridan’s books! My favorite book to recommend, right now, is Fake Fiancee by Ilsa Madden-Mills. Pingback: The Sunday Post AKA What’s on my (Mostly Virtual) Nightstand 2-12-16 – Escape Reality, Read Fiction! I love My Maker’s Keeper by Tiffany Current. It’s getting ready to be Frostblood by Elly Blake. I just finished, and it was absolutely amazing! I loved it so much. SO many! History of Love, Anne of Green Gables series, Gone with the Wind, Cold Mountain, Madonnas of Leningrad. Just to name a few! I have to recommend Julie Garwood’s Saving Grace! I recommend The Life-Changing Magic of Tidying Up: The Japanese Art of Decluttering and Organizing by Marie Kondo to everyone! The White Rabbit Chronicles. Thanks for the giveaway! I like and recommend J.R.R. Tolkien’s The Lord of the Rings. I first read it in high school. I’m currently reading Gone Girl! Saw the movie and thought it was great so just started the book!